Corvus Cosmetics recently released a new collection based on Cryptids tales. The collection is comprised of 14 eyeshadows, ranging from light to dark neutrals with a few pops of subdued color. Cryptozoology will have a limited run and is available August through February. 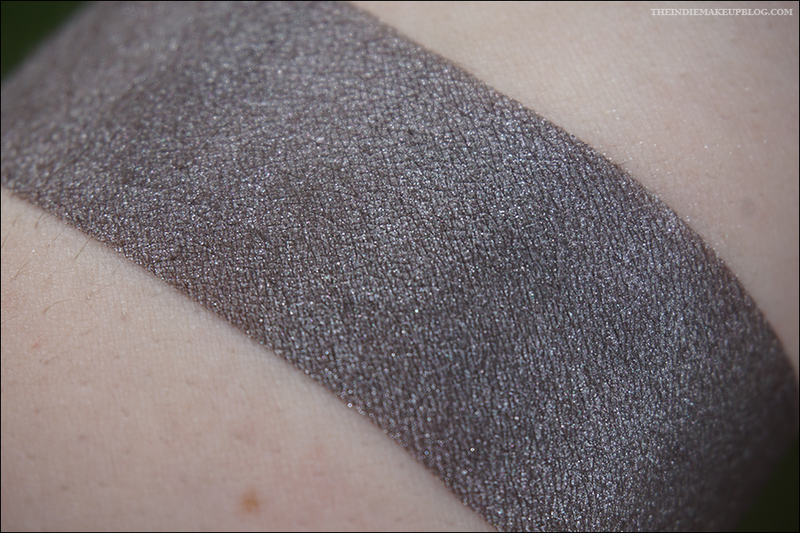 Most of the shadows in this half of the collection have a satin or matte finish. I'll be reviewing the next half later this week. Like with their other collections, Corvus has provided a detailed description of the inspiration behind each color so I encourage you to read through them! I didn't know many of these stories and it's always cool to learn about different urban legends. 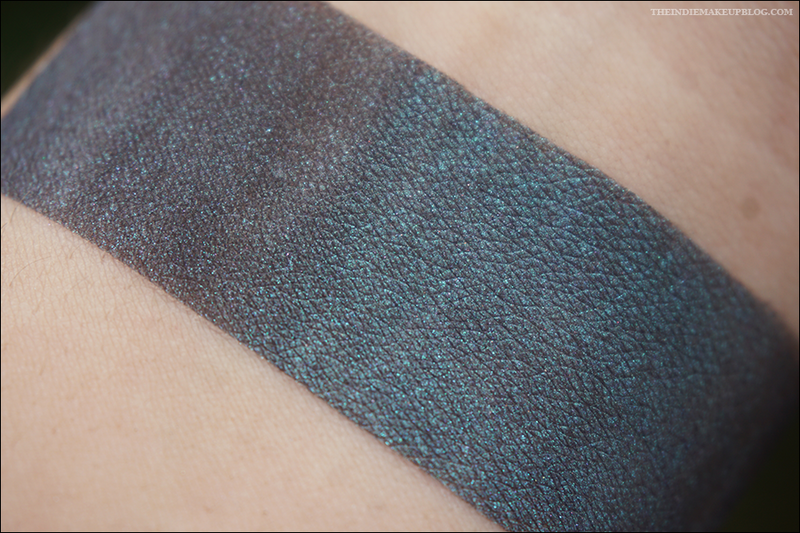 To show some of these eyeshadows in action, I created this eye look using Dover Demon on the lid, Goat Man as a transitional shade, and Loch Ness Monster in the crease. 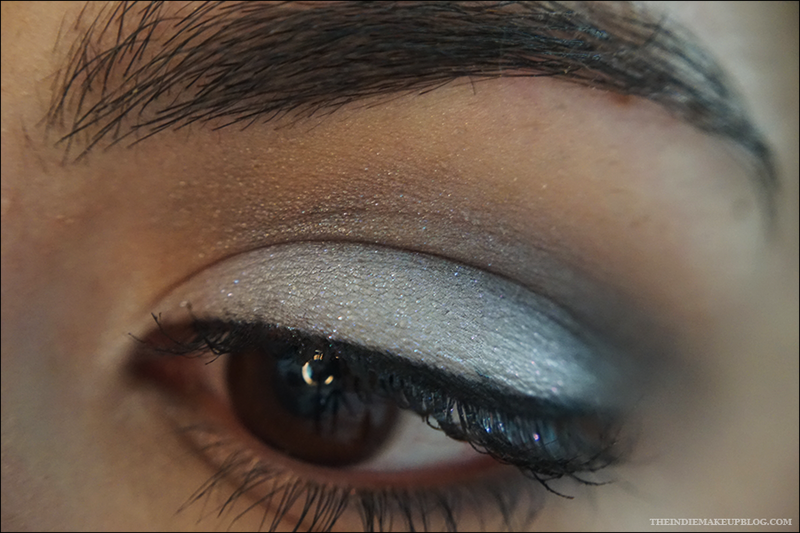 The colors blended out fairly easily and lasted all day without fading or creasing. 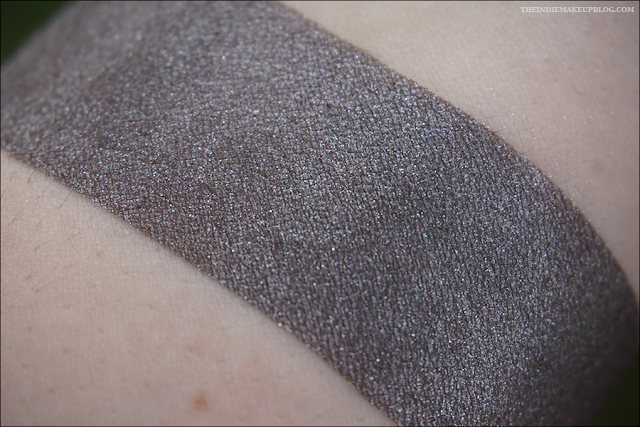 Flatwoods Monster (vegan, not lip-safe) is a dark grey with a silver sheen. Mongolian Death Worm (vegan, lip-safe) is a rusty red with a satin finish. 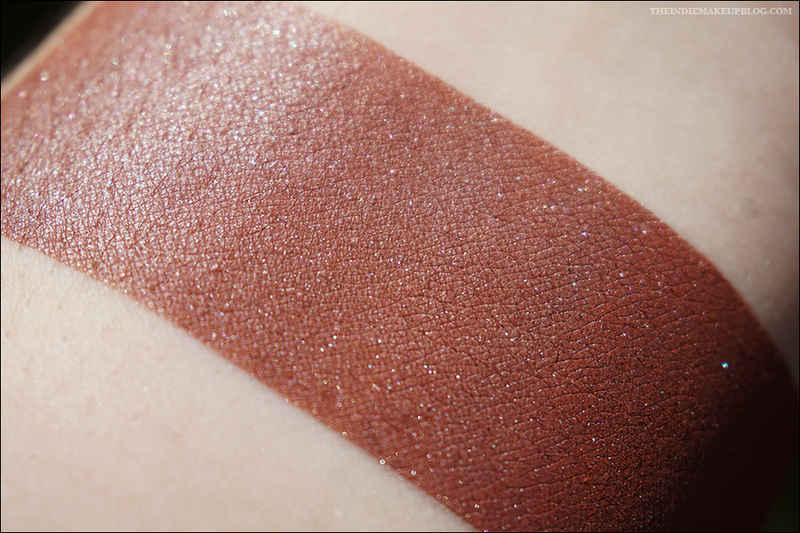 This would make a good color to mix with gloss to create a lip color. Corvus does reds and blues very well and this one doesn't disappoint. 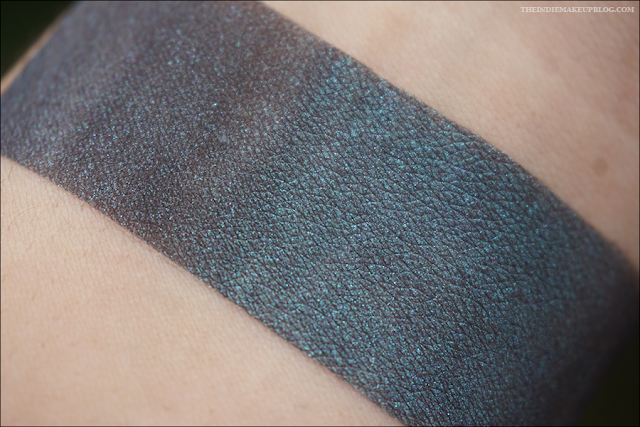 Loch Ness Monster (vegan, not lip-safe) is a gorgeous blackened blue with a teal overlay. This one is definitely my favorite of the bunch here. I wore it in my crease in the look above but I can't wait to wear it over a sticky base on my lid. 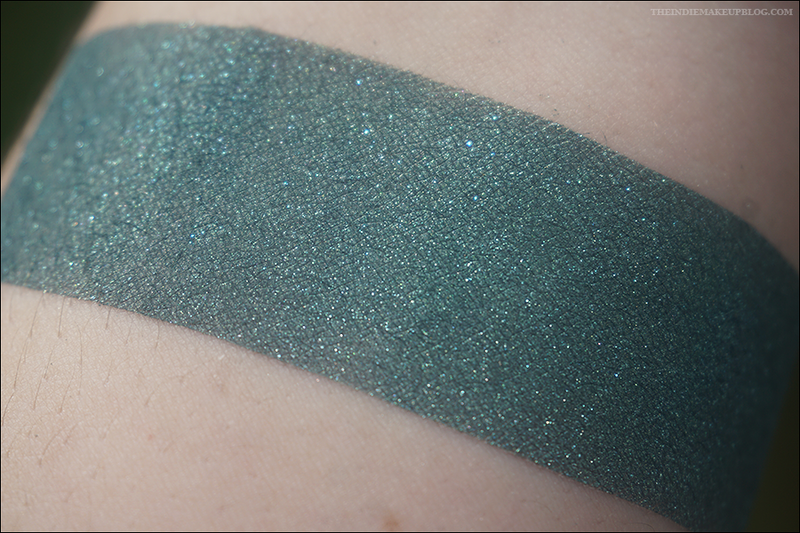 Kappa (vegan, not lip-safe) is a slightly shimmery forest green with a blue undertone. 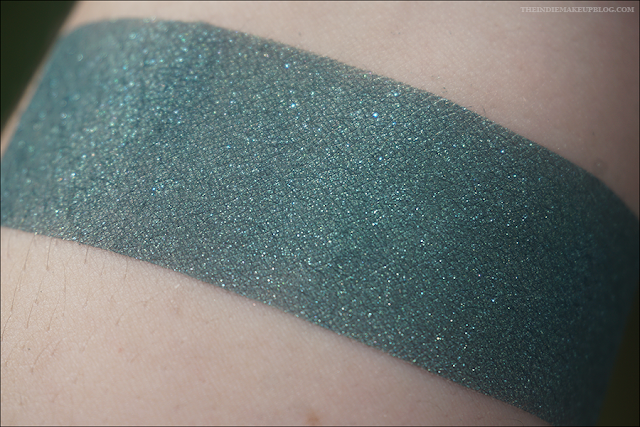 Dover Demon (vegan, not lip-safe) is a rosy grey with sparkles that shift from blue to pink. I wore this all over the lid in the look above but next time it's going in the center of a halo eye! Goat Man (vegan, not lip-safe) is a light sandy taupe. 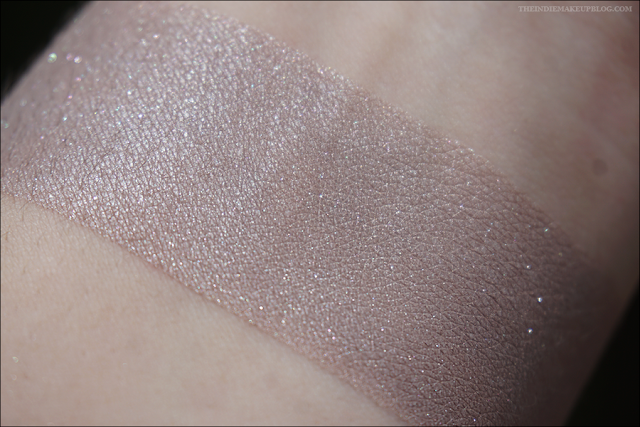 The sparkle is pretty minimal in this color so it works well as a transition shade. 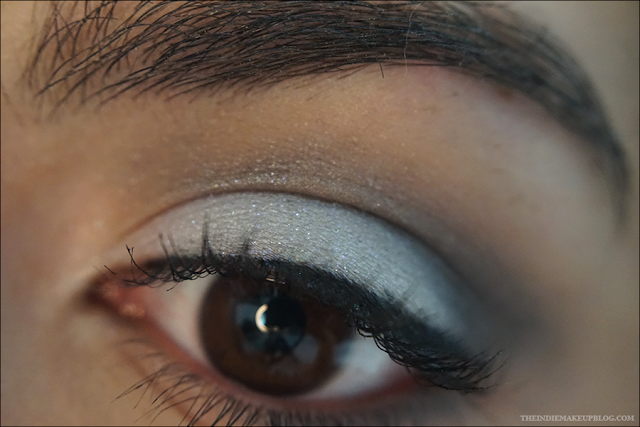 I struggle sometimes with finding a good blending shadow for silver looks that isn't a cool toned grey since they tend to wash me out. Goat Man works well for that purpose so I'll probably order this in a full size. Wendigo (vegan, not lip-safe) is a charcoal grey with a matte finish. 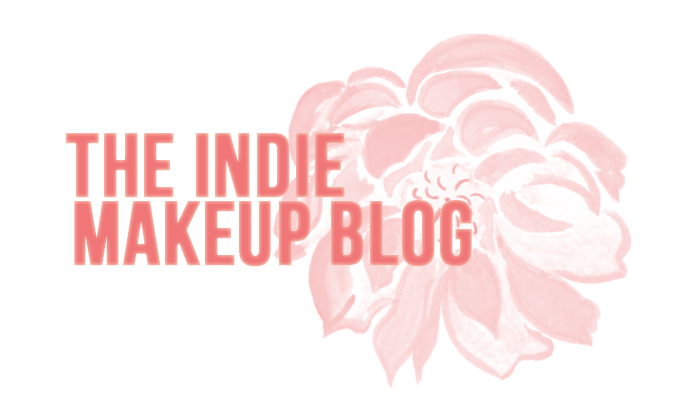 I've been trying to find a good indie dupe for Mac's Typographic eyeshadow and this one is very close. When doing a smokey eye I tend to opt for that color instead of a black since I'm pretty fair-skinned and I don't want to get the dreaded Panda effect! 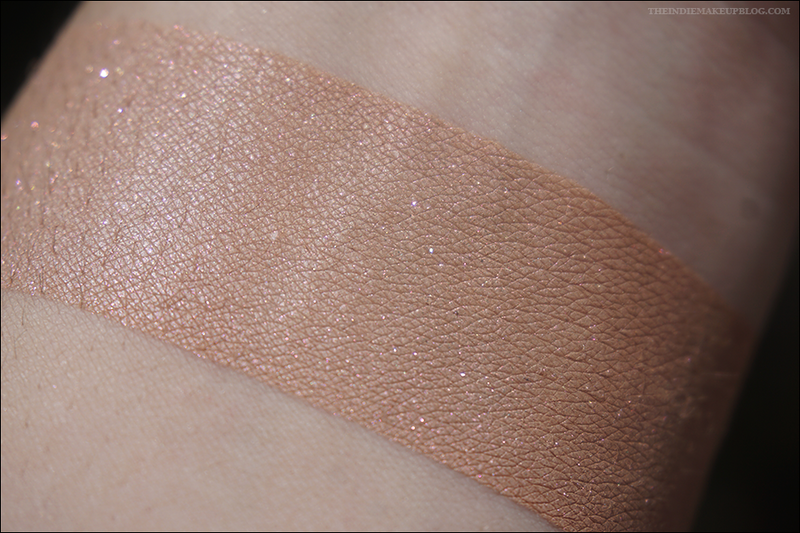 Jersey Devil (vegan, not lip-safe) is a golden peachy shade with pink sparkles. 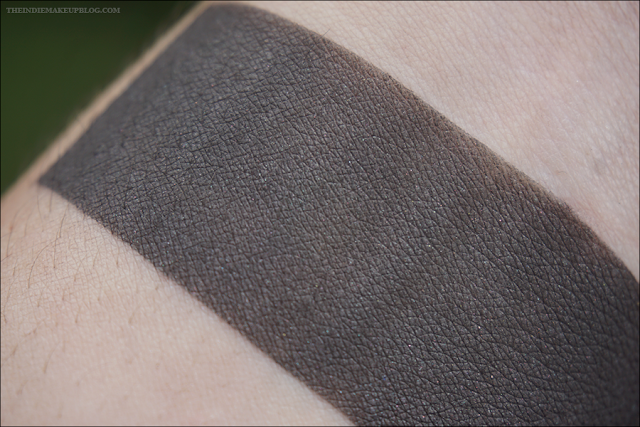 I can see this working well as a lid shade or a crease shade, especially if you have a warm skintone. 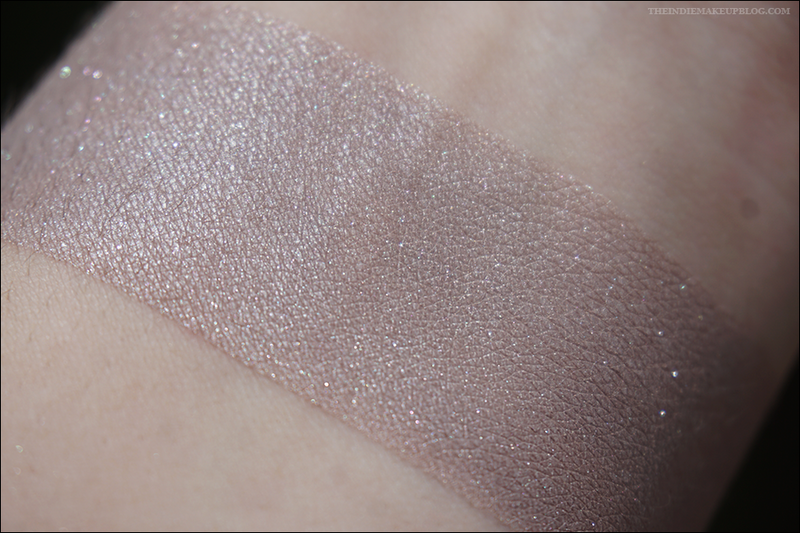 Every shade had good pigmentation and applied well. Noel, the owner of Corvus has formulated her shadows to show up true to color with or without a sticky base which is awesome since a lot of people don't like the fuss and muss of Pixie Epoxy and the like. The only color that needed a sticky base was Lock Ness Monster to bring out that pretty teal sheen! That's it for part 1, stay tuned for part 2!